There are two methods that can be used to remove dents from your vehicle. The first method involves working behind the panel with specially designed tools to gently massage the damaged metal back to its original shape. The original paint remains intact and there is no need to use nasty fillers or paint. The second method uses a glue pulling system to remove the dent from the front of the panel. This method is often used in areas where there is no access available to the back of the panel. How do I know if my dents can be repaired? For one dent or just a few dents, send a photo of the dents via a text message or send a photo through the website and one of our technicians will promptly respond. Our technician will be able to assess the dent and tell you whether it can be repaired by simply looking at the photo. For hail damage, the technician will book in a convenient time to view your vehicle and assess the damage. Do you fix chipped or cracked paint? Our service is paintless dent removal. Therefore, we do not fix the paint. If the paint is cracked or chipped, the vehicle will need to be repaired at a panel shop. Do you remove paint when you do the repair? No paint is removed when a dent is removed using paintless dent removal techniques. It is the fastest, most cost effective way to remove dents without affecting the factory paint finish. It is environmentally friendly and your vehicle will look like new again in next to no time. My car is an unusual colour, can you match it? We only remove dents from vehicles when there is no damage to the existing paint. We repair dents and hail damage in cars, trucks and motor bikes where the paint has not been damaged. We do not repair fridges or garage doors. The cost to remove the dents from the panels of your car using Paintless Dent Removal is much less than a panel shop repair and in most cases, will be less than your insurance excess. Furthermore, your car will be repaired in a fraction of the time. Prices vary depending on the location of the dent on your vehicle, the size of the dent and the type of dent it is. Our technician can assess the dent and provide a quote by looking at a photo. Most dents can be removed in less than an hour. Your car will be repaired in a fraction of the time that it would normally take for your vehicle to be repaired in a panel shop. Can you do other dents as well as hail repair? In addition to hail damage repairs, we fix door dents, shopping trolley dents and light collision dents. What is the difference between PDR and panel beating? Repairs completed with panel beating involve filling the dents with filler and repainting the panel. 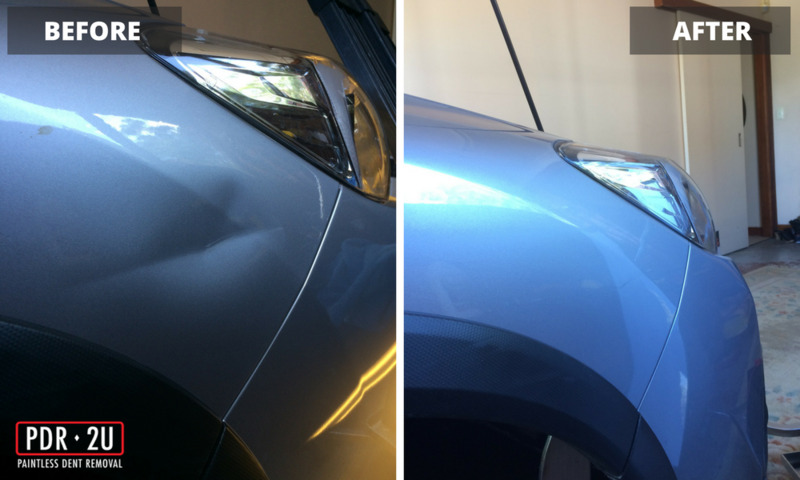 In contrast, our paintless dent removal techniques use no fillers which retains your original factory paint finish. Does the damage get worse if I leave it too long? The damage to your vehicle will not get worse the longer you leave it. However, the sooner you have it repaired, the sooner you can forget about it as there will be no evidence of the dent after it has been repaired. On most occasions we can repair your vehicle at a time and place convenient to you, which means you do not require a loan car. Most dents can be repaired in less than an hour. 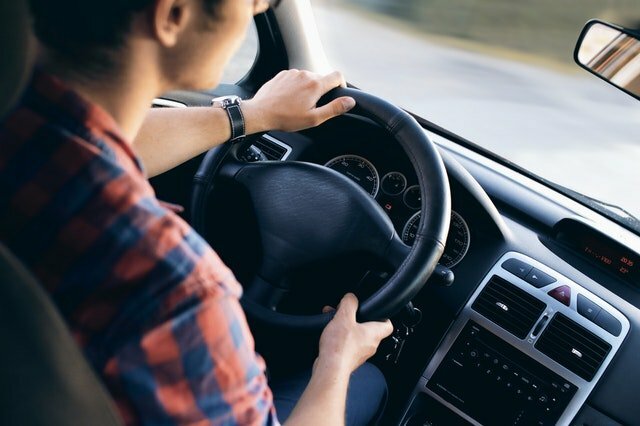 If your vehicle requires hail repairs, we will arrange to repair your vehicle at a time that causes minimal inconvenience to you and has you back on the road in a fraction of the time of a conventional panel shop repair. Our goal is to work in with your lifestyle so that you do not require a loan car. When the work has been completed on your vehicle, there will be no evidence of the dents that were once there. Will there be any evidence of the dent once repaired? When the dents have been removed from your vehicle, there will be no evidence of the dents that were once there. Can you fix bumper bars? Some bumper bars can be repaired. This depends on the damage. Contact us today for a free quote. What is the process for an insurance claim? We regularly complete work for insurance companies. To make an insurance claim, we can provide you with a quote for your insurance company or we will liaise with your insurance company on your behalf if you already have a claim number. When authorization has been provided by your insurance company, we will organise a suitable time for your vehicle to be repaired. We always aim to have your vehicle back to you in the shortest time possible. Is there any chance of further damage being done? Our experienced technicians will thoroughly assess each dent before any work is commenced and will always discuss all outcomes with the customer. We will only attempt to repair dents that will result in a positive outcome for the customer. What kinds of dents can be fixed? 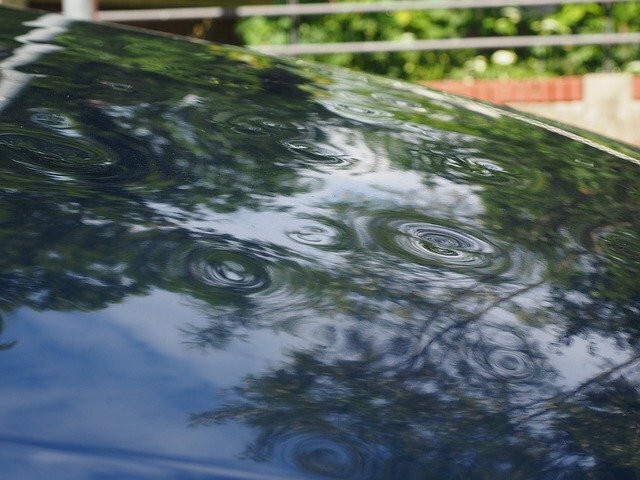 Dents such as those caused by hail, shopping trolleys, door dings and minor collisions where the paint is not damaged can be repaired using paintless dent removal techniques. Can you fix windscreens as well? We cannot fix windscreens, but we can arrange for your windscreen to be repaired while we are removing hail damage or other dents from your vehicle. 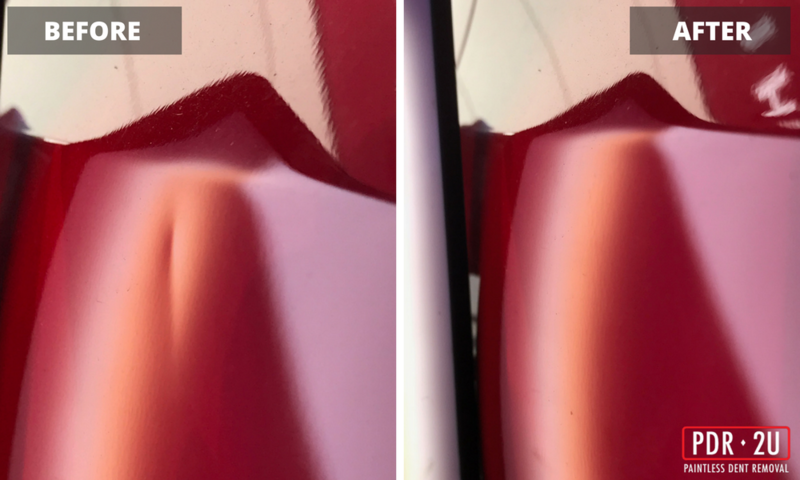 Not all dents can be repaired using the paintless dent removal technique. Our experienced technicians will be able to assess your dents and let you know the best way to repair your vehicle. What if you can’t match my paint colour? Paintless dent removal is exactly that… ‘paintless’. Therefore, we do not repair damaged paint. Can you repair scratches as well? We can polish out light scratches and scuff marks on your vehicle, but deep scratches will need to be repaired at a panel shop. The cost of our repairs are usually only a fraction of the price of a conventional panel shop repair. For a free quote, contact us today. No aftercare will be required after your dents have been removed. You will never need to think about your dents again. Do you need to remove panels on my car? Depending on where the dents are located, it is sometimes necessary to remove interior trimmings or panels such as the bonnet. Anything that is removed, will be replaced, leaving no evidence that it was removed. 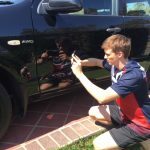 All of our technicians are fully trained and up to date with the latest skills and techniques in paintless dent removal. If you make a claim through your insurance company, it may affect your premium, but this depends on the policy you hold. Many repairs cost less than your insurance excess, so it is always worth getting a quote first. How do I know I’m taking my car to a quality provider? We have many years of experience in the panel industry and offer a lifetime warranty on all PDR work. The reviews on our website will provide some insight into our customer satisfaction. We are so confident in the quality of our work that we offer a lifetime guarantee on all PDR repairs.